Those in the entomology or even general science fields have an understanding of how honeybees and other bee species are exceptional navigators, relying on landmarks to memorize flight paths and even on the sun to provide their sense of direction and their inner map. Bees can travel hundreds or even thousands of feet from their hives to flower patches containing the nectar they need to produce honey stores. 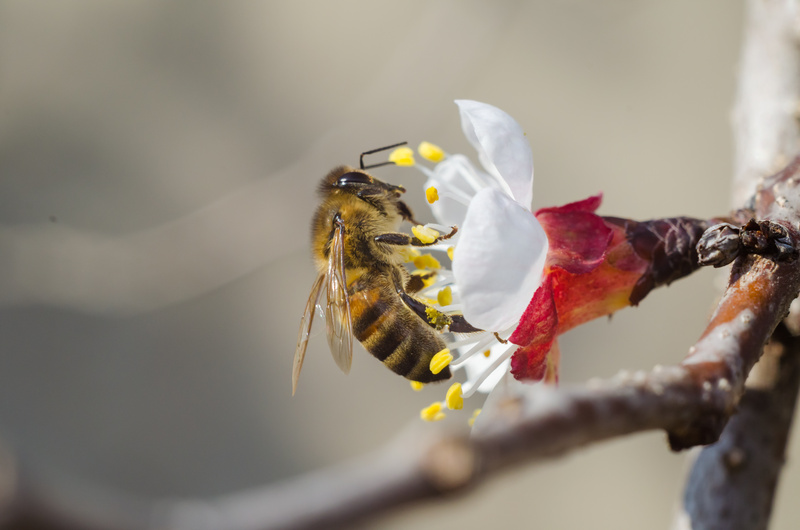 According to one recently published study, however, in the journal Scientific Reports, honeybees are genetically built to effectively search land and forage nectar for the betterment of the hive when the bees themselves are sick. Bees, like any species, can become sick and find moving about extra challenging but continue on regardless of how they feel, with bees showing exceptionally sacrificial behavior in their eusocial environment. To find new discoveries relating to this, new research out of Queen Mary University of London used, for the first time, radar technology to show that bees stay agile and can respond to the environment around them and search even with viruses or infections. “We tracked the individual flying bees with a harmonic radar system. This involves attaching a very lightweight aerial to their back, but it doesn’t affect how fast they fly or how much nectar they collect. It is still the only method for getting these really detailed data on where the bee flies,” said co-author Juliet Osborne from University of Exeter. The study showed that even quite ill bees can still ideally search their surroundings in what are called Lévy flight patterns, which are natural patterns found throughout all animal species (including early hunter-gathers) that describe certain behaviors like stalking for prey or searching for mates. Lead author Dr. Stephan Wolf said, “The honeybees we observed had remarkably robust searching abilities, which indicate this might be hardwired in the bees rather than learned, making bees strong enough to withstand pathogens and possibly other stressors and allowing them to still contribute to their colony by, for example, foraging for food.” Wolf’s team monitored six sets of bees affected by both a virus and a fungus-like disease to differing degrees, and with this, 78 bees’ flight behavior was observed and analyzed. They discovered the unhealthy honeybees did not fly as far or as long as the healthy honeybees, but the sick bees continued searching in their typical way, suggesting to the researchers that the pattern was built into the bees’ genetics. Ultimately, what these discoveries mean is that the science is on a new path to better understanding and potentially alleviating a number of negative factors that affect how animals interact with their environments including ecologically important species like honeybees and other pollinators.